September 20, 2017, 9:55pm. About Me. As follow up to what I wrote in an earlier post (this post: She Saw Something So She Said Something ), CIA Mormon Danite Pale Male Angry Bird NYPD Commissioner James O’Neill sent an NYPD helicopter (with a really loud engine) to hover over this building, YWCA Brooklyn. The NYPD loud engine helicopter has been making really loud engine noises for at least the past five minutes. Maybe some people in this building and neighboring buildings are impressed, but I’m certainly not the least bit impressed! “Old Sparky,” and three hundred and sixty-one inmates had been put to death by electrocution over four decades. Now Texas used lethal injection to send you off to the hereafter. Either way you were still dead. By law executions could not begin before 6 p.m. Mars had been told that they would come for him at midnight. Well, nothing like dragging this out, he thought. Made for a really long and really [expletive] day. Walking Dead Man, he’d been called. “Good riddance,” he’d heard more times than he could count from the guards. He didn’t want to look back. Not to the epicenter of this whole thing. But really, how could he not? So the final moment neared, he started to think of them. The murders of Roy and Lucinda Mars, his white father and black mother. Back then the combination had been weird, different, exotic even, certainly in West Texas. Now it was commonplace. Every kid coming in now looked like bits and pieces of fifty different types of humanity. One recently incarcerated punk was the product of biracial parents, who in turn were also the children of nontraditional pairings. So the new kid – an idiot who’d blown away a store clerk over a shoplifted bag of Twizzlers – was a mishmash of black, brown, and white, with a dash of Chinese thrown in. And he was also a Muslim, though Mars had never seen the man get on his knees and pray five times a day, as some did in here. His name was Anwar. He was originally from Colorado. And he had started telling people he really wanted to become Alexis. Mars sat up on the bunk in his cell and looked at his watch. It was time to do his thing. The last time he would ever do this, in fact. His jumpsuit was white, and on the back were the letters D and R printed in black. They stood for “death row.” Mars had equated it to a snake’s rattle, warning folks to stay the hell away. Published: May 15, 2017 10:20 a.m.
An image of a fragment of Egyptian papyrus is discussed in the newest volume of the Joseph Smith Papers, Documents 5. 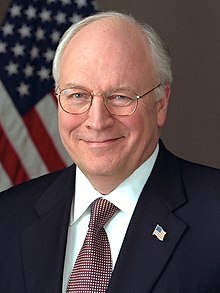 Richard Bruce Cheney (/ˈtʃeɪni/; born January 30, 1941) is an American politician and businessman who was the 46th Vice President of the United States from 2001 to 2009, under President George W. Bush. In 2011, Cheney published his memoir In My Time: A Personal and Political Memoir, written with daughter Liz Cheney, and in 2015, published another book, Exceptional: Why the World Needs a Powerful America, again co-authored with his daughter. He has been cited as the most powerful Vice President in American history. At the same time he has been among the least favored politicians in the history of the United States: his approval rating when leaving office was only 13%. 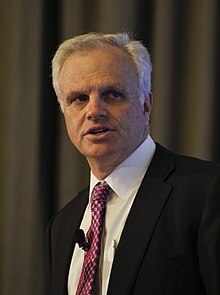 David G. Neeleman (born October 16, 1959) is a Brazilian-American entrepreneur who has founded four commercial airlines, Morris Air, Westjet, JetBlue Airways and Azul Brazilian Airlines. He is also the co-owner of another commercial airline in Europe, TAP Portugal, along with Humberto Pedrosa. Since 2017, he is also a citizen of Cyprus. Neeleman was born in São Paulo, Brazil, and raised in Utah, to a family of Dutch and American descent. He lived in Brazil until he was five.